What Is InboxDollars? Read our InboxDollars review to find out how to make money with InboxDollars. Do you want to learn how to make money with InboxDollars? 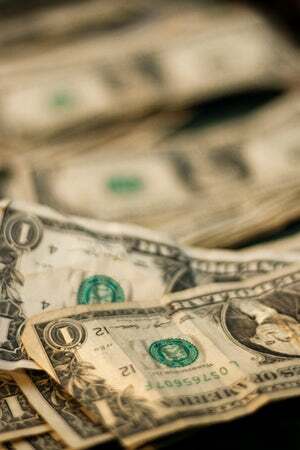 Who doesn’t want to get paid to play games, read emails and complete online surveys! Here is our InboxDollars review to help you decide if you want to try out the surveys. 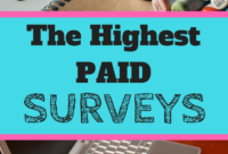 InboxDollars (Sign up here) is a complete money generating paid survey site that I love (almost as much as Survey Junkie, SurveyMomma and Swagbucks!). Actually, the paid surveys that InboxDollars offers are not particularly well paid and I would suggest trying a different survey site like Vindale Research or Survey Junkie (these sites both pay better!) if you just want to get paid to complete surveys. InboxDollars is more like a loyalty rewards program. These days my wife and I still occasionally complete paid surveys (despite making decent money from blogging) but I have the freedom to choose which sites to use. 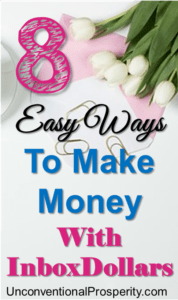 The question for me now is – ‘is this process fun?’ InboxDollars is FUN and that is why I highly recommend signing-up (remember to confirm your email) and participating in some of the fun and free ways to make extra cash. 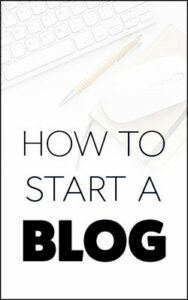 Side Note: Are you interested in starting a blog? Want to be able to produce an online income report like this one? Check out our tutorial that will help you start a blog of your own for only $3.49 per month (it’s a tiny cost for blog hosting compared to the potential profits that are possible!). Signing in to InboxDollars is very easy. Just enter an email address and follow the simple instructions. You might want to use an email address that is dedicated for paid survey sites. This is because you can expect to receive a lot of emails from the site informing you about paid surveys as they become available. You can also follow InboxDollars on Facebook. Once you have signed up for InboxDollars, you will be credited with a $5 signup bonus! This is great, however, one of the biggest InboxDollars complaints is that they require you to reach a minimum balance of $30 before you can withdraw your money. This is a pretty high payout threshold. Generally, the reviews of InboxDollars are quite good. The most common InboxDollars complaints are about the high payout threshold, the spammy emails and the low rate of pay for the surveys. Trustpilot, which is one of the most trusted review sites online, has a 4/5 rating for InboxDollars. You can read all those customers reviews here. Play games. You can get paid when you play games on InboxDollars. Reading e-mails. Earn cash when you simply open some emails! Shopping cashback. Visit the InboxDollars website and get a few percent cash back on purchases you would make anyway! Might as well get paid a little cash back! (check out our Ebates review if you like cash back sites). Complete surveys. take online surveys when they become available, and earn cash every time you successfully complete a study. Coupons. find hundreds of printable grocery coupons, and earn additional cash back when you use them! Web search toolbar. earn additional cash by using the toolbar for your web searches, and have an easy way of staying informed about the latest free offers, surveys, etc. Watching videos. This is my favorite feature. It is called CashTV and it pays you a couple of dollars every day just for watching a few videos. I often just run these videos in the background as I work on this blog. InboxDollars is able to pay you for these activities by sharing advertisers revenue with you. This is the normal way that most of these paid survey and cash back sites generate revenue for themselves and for you. Our favorite InboxDollars hack is to start using the InboxDollars search engine to browse the internet. You will get paid for your searches, which means you make some extra money completely passively! This is the best InboxDollars hack (easy way to make some quick money). This is the most important question to ask when you are considering trying any paid survey site. There are a lot of scams out there. Nobody wants to waste valuable time with a site that refuses to pay them or sells private information to third-parties. Here is my 2-step strategy for checking out InboxDollars and any other survey site that you are considering trying. Find out who the parent company is by searching on google. InboxDollar is owned by a company called Cotterweb. Check the reputation of the company on the Better Business Bureau (BBB). Anything better than a ‘B’ rating is worth pursuing. InboxDollars gets an A+ which is excellent. I also do some basic research into the company to make sure they have a history of paying out any earned cash. I also look for large social media presences that indicate they take the business seriously. The older the site the more legitimate it is likely to be. InboxDollars has been around for 15+ years so there is a good chance they are a legitimate company. InboxDollars Review: How Are You Paid? You are paid when your InboxDollar account reaches a minimum balance of $30. This minimum cash out is a little higher than some survey sites but not as high as others. You can be paid by check or Visa cash card. 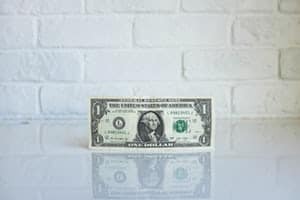 I hope that this short article has given you a better idea about how to make money with InboxDollars. It is one of the oldest and most trusted sites in the paid survey niche. If you want to give InboxDollars a try then simply click here and go to the site (you will get a $5 bonus just for signing up). Make sure that you confirm your email in order to start earning and qualify for the best surveys etc. We hope that you give InboxDollars a try and please let us know how much money you make with it! Let us know if our InboxDollars review has been helpful. If you are serious about making REAL money online, check out how we make $10k+ using affiliate marketing on our websites. Surveys are a good supplemental income but the real money online is made by blogging. 13 Ways to Make $500 – $1000 FAST! 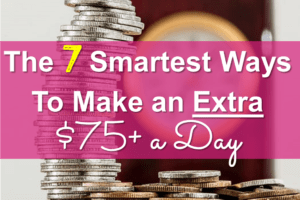 Inbox Dollars is a great way to make some extra money!